English School) was elsewhere and had different staff; other subjects were scattered about the town. It seems that boys who required a wide education needed to attend several different schools. fully literate, so somebody was teaching them something. The Grammar School was rebuilt in 1788 and still stands, in new guise, as the Portcullis Hotel. 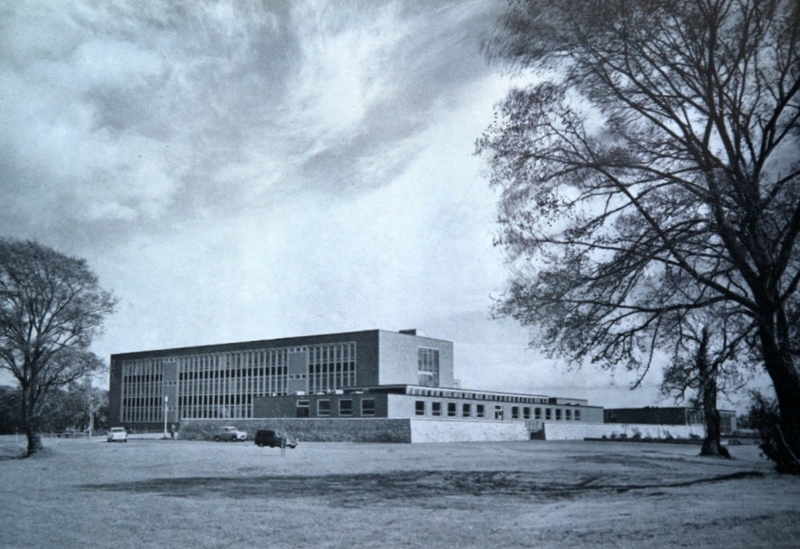 It must have been much more spacious than its predecessors, a recognition that education was changing, with more emphasis on technical and practical subjects – though Stirling’s schoolmasters’ main claim to fame would remain the Classics for a long time to come. By 1854 there were a great many schools in the town, some teaching only the most basic literacy to the poorest pupils, others with more academic ambitions. The foundation stone of the new High School was laid 3rd Aug 1854, with the new school opening in 1856. This incorporated many departments into a single institution–mathematics, English, Classics and so on. Whilst it was still a fee-paying school, it was adopted by the School Board under the Education Act of 1873. Still, in 1888, girls at the High School were offered the chance of taking sewing instead of Latin – but at least they got the chance to do Latin if they and their parents wished – and could pay. For over a century, the school was able to cope on this site though the fact that it was selective and still partly fee-paying meant that numbers of pupils were limited. But, by the 1960s, with radical new developments in education, it was time to move again and on 25th April 1962 the Rector led the pupils out of Academy Road and off to the new site at Torbrex. the Education Department for many years. 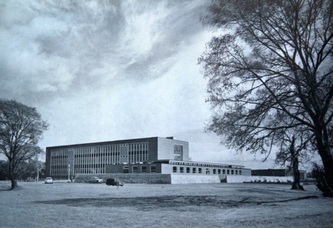 For a time, in the 1980s the Central Regional Archives found a home within its walls and I well remember, as I was researching there, a woman coming in, staring hard at the ‘top’ end of the hall and quaking slightly as, in her minds eye, she saw the headmaster on his podium telling her off for being late. The Old High School is now the Stirling Highland Hotel. 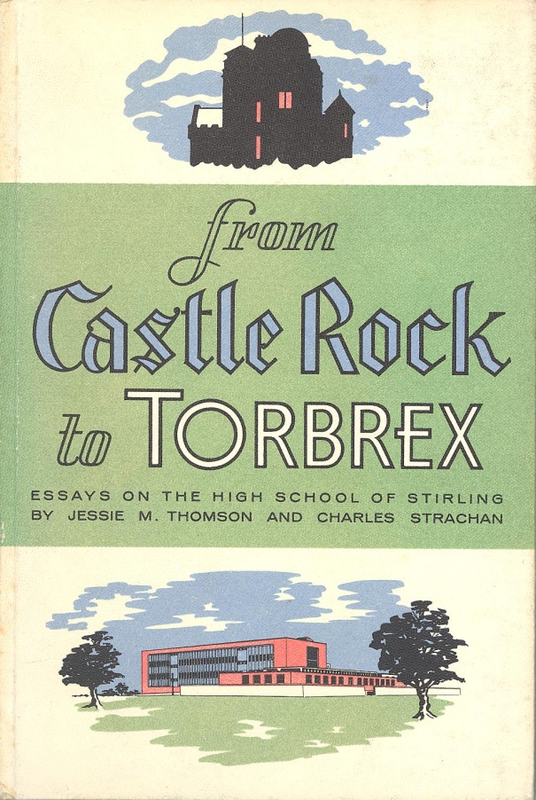 It is a strange irony, surely, that whilst the Castle Wynd site served for at least 300 years and the Academy Road site for 112 years, Torbrex is now demolished, even whilst most of the pupils who walked into it in 1962 are still alive. A.F. Hutchison, 1904. 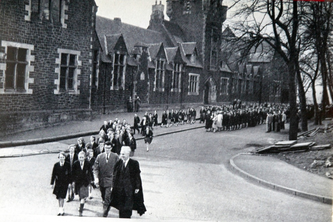 History of the High School of Stirling, Stirling. Jessie M. Thomson and Charles Strachan, 1962. 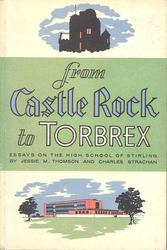 From Castle Rock to Torbrex, n.p. R. Renwick, 1889. Extracts from the Records of the Royal Burgh of Stirling, A.D.1667-1752, Glasgow.